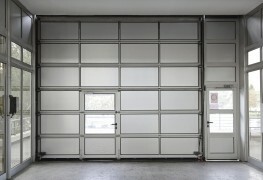 A new garage door can be a welcome facelift for a tired looking façade, or a necessity when your old door stops working. 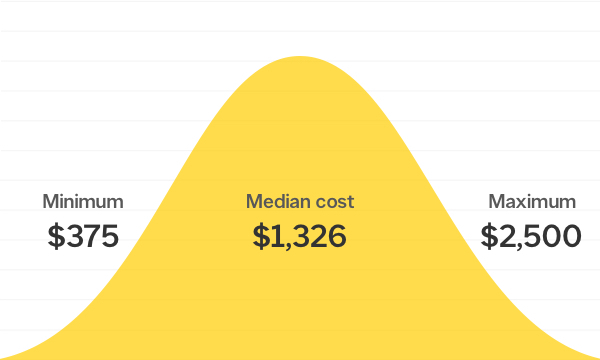 A variety of factors contribute to the cost of installing a garage door, and this Smart Tip breaks them down for you. Read on to find out more. 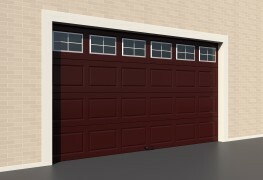 Finding time for some easy DIY maintenance can help prolong the life of your garage door. 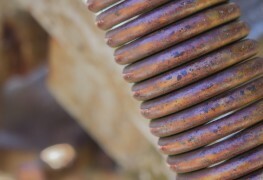 What’s more, a little preventative maintenance can help reduce the risk of injuries and damage to your property. 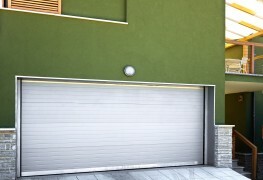 Whether it's a renovation or a brand-new build, the right custom garage door can enhance your home’s overall appeal, make it more secure, weathertight, and boost its value. So what are your options? Here are 5 tips to help you choose. Tired of opening your entire garage door every time you want enter or exit by foot? A pedestrian door addition could be the perfect time-saving solution for your home. 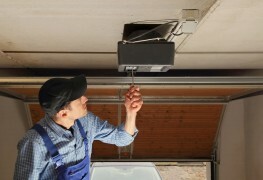 Is it time to replace your garage door opener? Garage door openers typically have a pretty long life span, but don’t take a working opener for granted. There are some obvious, and not so obvious, signs that it might be time to upgrade your remote. 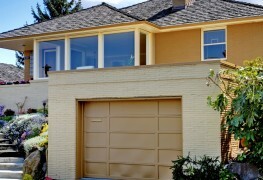 If you're choosing a new garage door, you want to be sure the size is correct. Follow this step-by-step guide to be sure you get the dimensions just right. Pulling up to your garage to find the door won’t open is frustrating. 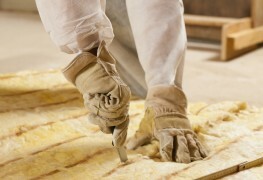 Now it seems you’ve got to call a repairman – or do you? 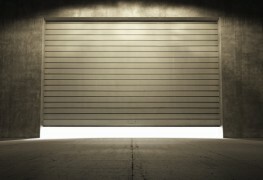 Here are 6 common reasons your garage door won’t open and how you can fix (most) of them quickly and easily. Your garage door is your home's biggest moving part. To make sure it doesn't cause damage in a fall, get rigged open by an intruder, or injure someone, it's important to stay on top of upkeep by following these 9 maintenance tips. 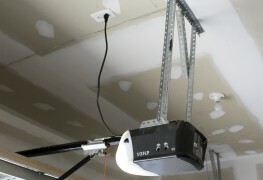 When an up-and-over, or canopy, garage door doesn't open, it may have dropped out of its vertical guide track. This can happen when you open or close the door from one side, rather than in the middle, or try to open or close it too quickly. 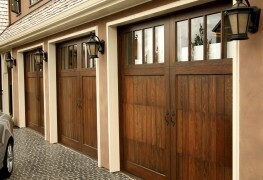 Garage doors are a key element in beautifying a home’s exterior. There are a number of dealers who can help you choose the perfect one. Keeping your house safe from burglars is mostly a matter of making it look like it's more trouble than it's worth for thieves to break in. 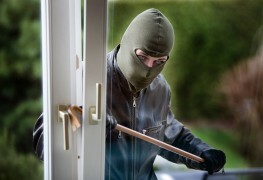 Here are do and don't tips to keep your home safe from burglars. 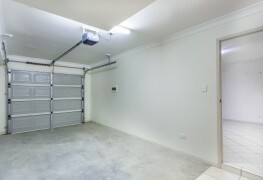 Does your garage door creak and groan and rattle louder than old man getting out of his rocker? Here are four tips in how to diagnose and repair the problem. 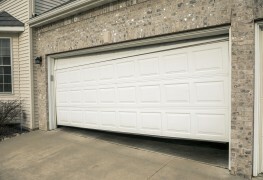 Over time grease and grit build up in your garage door's moving parts and form an abrasive sludge. If left alone, this sludge eats away at your door's rollers. 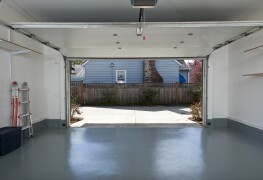 Thankfully, cleaning and oiling your garage door's moving parts can clear out this sludge. 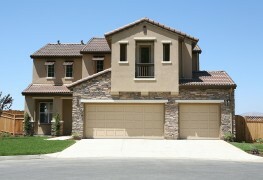 Considering a new garage door for you home? Wood is an elegant choice, but is it worth the trouble? Discover the pros and cons of a wooden door. Choosing an automatic opener for your garage door is an important and costly decision. Here's what you should know before deciding. 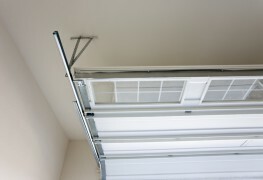 Torsion springs are found in most automatic garage door mechanisms today. As your garage door's support system, it's important to maintain and check on them. Choosing the right garage door insulation is essential to keeping your house temperature-regulated, sound-proofed and energy-efficient.